I have completely fallen in love with Silverspoon. An exclusive shade of Lullaby Paints only available from Petit Tresor, this silvery blue has just enough color to be recognizable as blue, but it’s nearly gray and is super neutral and calming. I’m thinking of using it for my master bathroom, I love it so much. A sample pouch (with shipping) is just $17 and I’m about to order one! I went really modern with the white and chrome furniture in this design. Then I softened the look a bit with the rug and soft furnishings. I’d love to see someone bring this room to life! 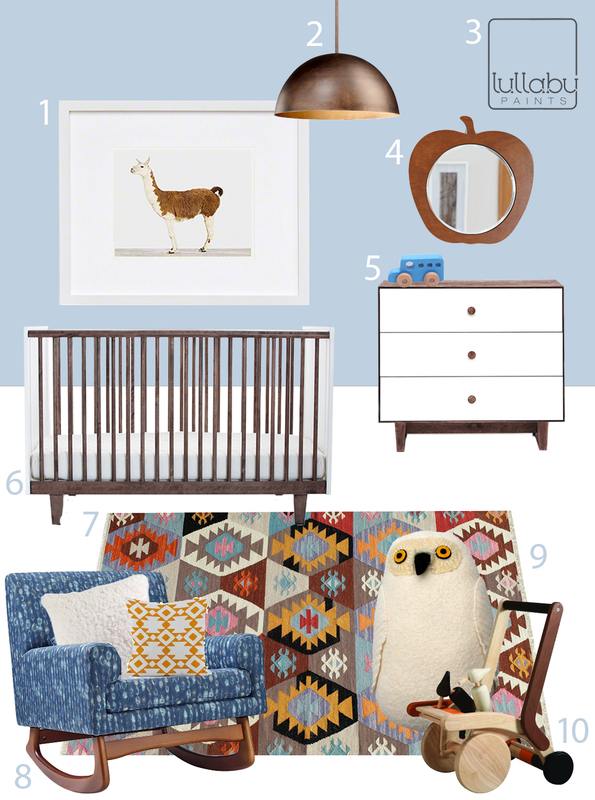 We have tons of other ideas for your Silverspoon nursery on our Pinterest board so if you need more art choices, additional accessories or even different lighting and furniture options, we have everything you could possibly need. Thanks to Lullaby Paints for sponsoring our nursery board series. Check out all their paints for Petit Tresor! Safe for baby and the environment, Lullaby Paints are my favorite option for your modern nursery. For more nursery color inspiration, follow Lullaby Paints on Pinterest. 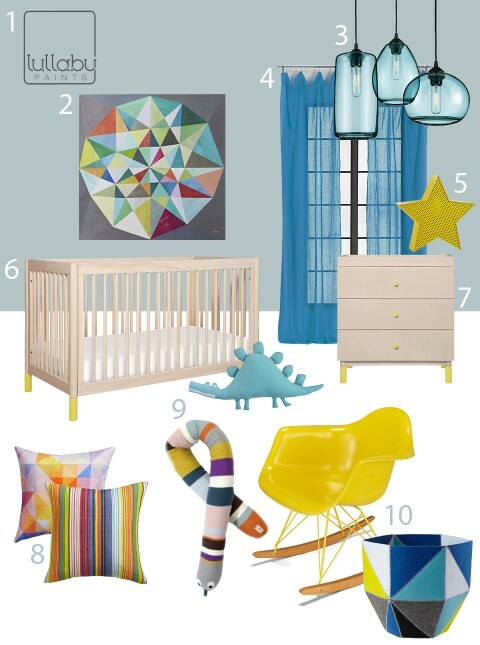 I love creating these modern nurseries each month using their baby-safe colors. 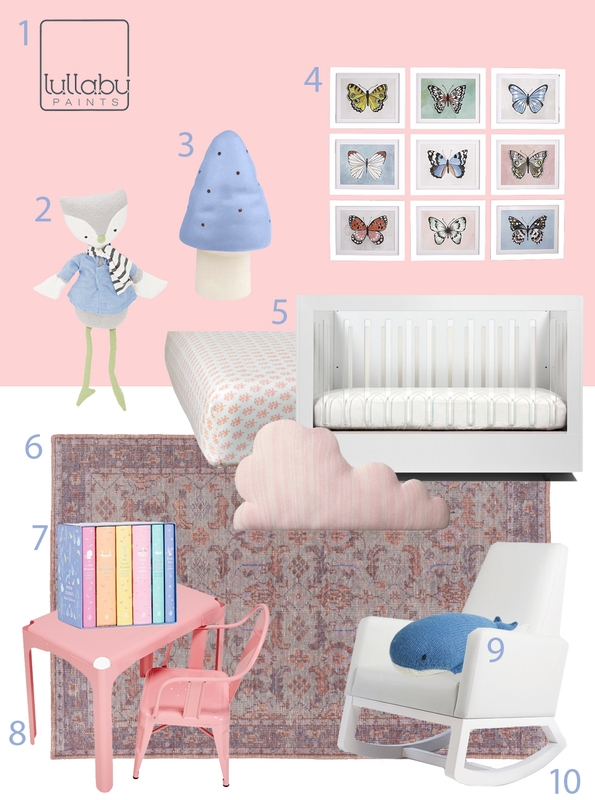 We’ve had a great time this month exploring how to use Pantone’s Color of the Year for 2016 in the modern nursery. 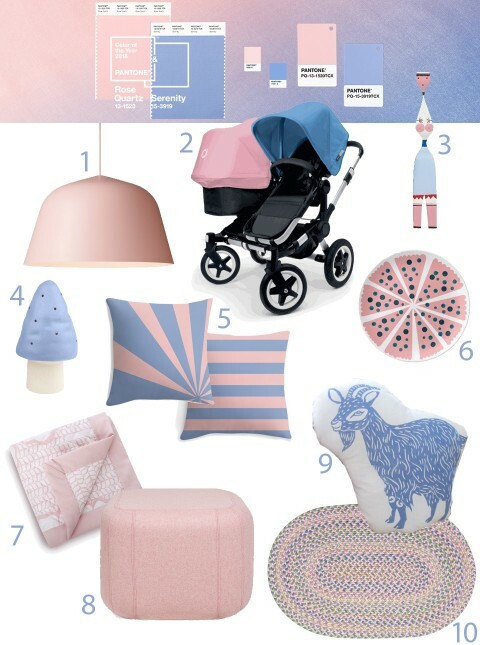 Of course, when Pantone selected both a shade of pink and a light shade of blue this year, the obvious first thought was of baby girl and baby boy, but part of the point is to use the two colors together in less gender specific ways. 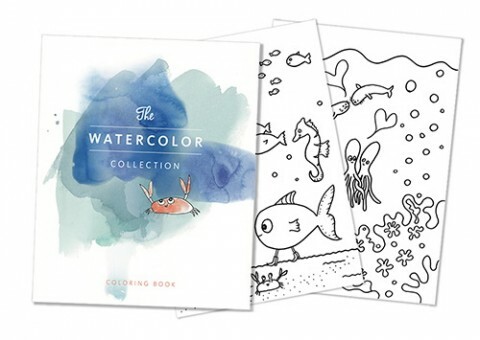 Rose Quartz and Serenity aren’t the typical shade of pink and blue that you’d see used at a gender reveal parties, baby showers and such, so I hope you followed along on our Pinterest board as I found products that really make the most of these great hues. For the paint colors, though Lullaby Paints has a huge variety of wonderful colors that we’ve been using over the past few years, we finally were able to take advantage of their custom wall color option that allows you to specify any paint shade while still enjoying non-toxic Lullaby Paints and avoiding dangerous chemicals. Though we combined Rose Quartz and Serenity in this month’s design, we really couldn’t choose just one for the wall color, so you know we had to do TWO rooms! Be sure to visit the Pinterest board where we collected all this “color of the year” inspiration and hope it inspires a colorful new year in 2016! We hope you’ve enjoyed the year of nursery design inspiration boards that we’ve done in partnership with Lullaby Paints. We are so grateful for all their support and love having such a great partnership with a brand we feel so good about. 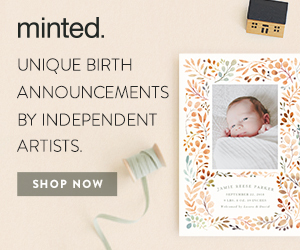 Safe for baby and the environment, Lullaby Paints are the perfect choice for your modern nursery and we’re happy to pick them as the backdrop and inspiration for our designs each month. Happy new year! I always love the day Pantone announces their color of the year. I enjoy the challenge of finding all the best baby gear and nursery accessories in the chosen shade, but I was a little disappointed this year when I discovered what Pantone decided for this year… Roze Quartz and Serenity! First of all, two color picks was a shocker, but then could they get any closer to the cliche baby pink and blue? As it turns out, pink lately has been paired with a teal or aqua shade of blue or a dark navy shade. Serenity is more of a cornflower blue or a periwinkle without any purple. Additionally, Rose Quartz is devoid of any yellow that would turn it into a more salmon or coral shade of pink. This made selecting Rose Quartz and Serenity items more of a challenge than I expected. What do you think of Pantone’s picks for 2016? 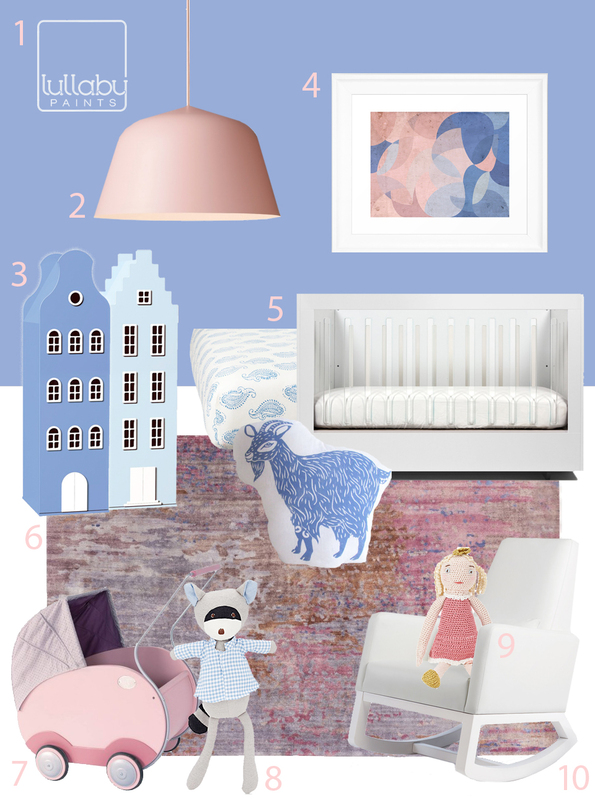 Explore more Rose Quartz and Serenity on our Pinterest color inspiration board. Blue for a boy? With a paint color named “Baby Boy Blue,” how can you resist? But even a nursery with white and a soft cool blue, this nursery isn’t ordinary or boring. 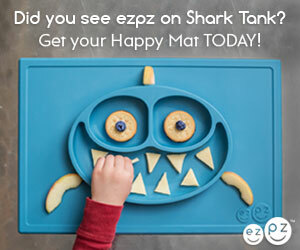 With a rug like the Chontal Rug from Lulu & Georgia, how could it be? 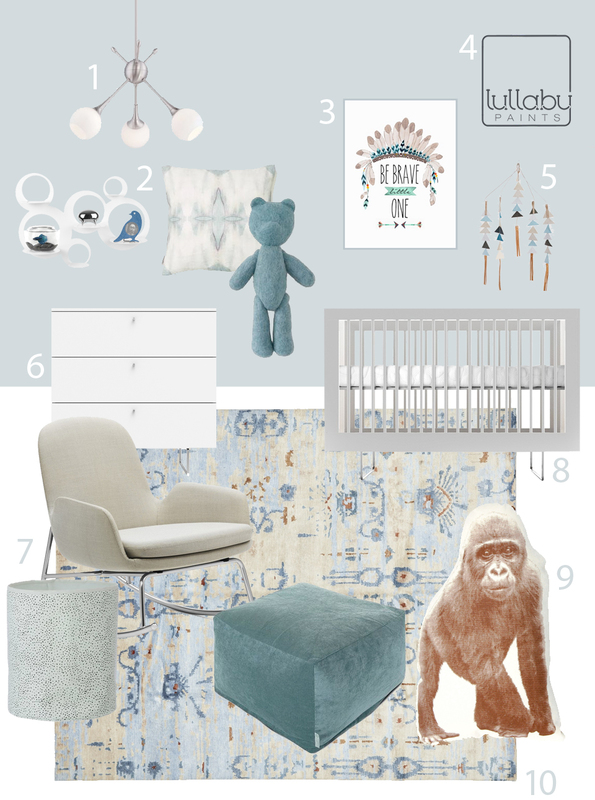 After selecting the blue color and the rug, the rest of the room came together on our Baby Boy Blue Nursery Inspiration pin board. 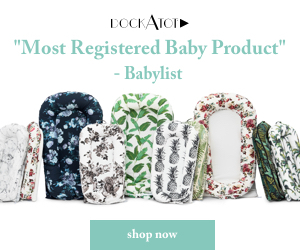 We’ve got some curtain and crib sheet options over there as well as some additional decor ideas to further round out your space. Let me know if this is the nursery for you! If not, we’ve got all our boards in one spot on Pinterest, so you may find your inspiration there. Thanks to Lullaby Paints for sponsoring our nursery board series. Safe for baby and the environment, Lullaby Paints are the perfect choice for your modern nursery. For more nursery color inspiration, follow Lullaby Paints on Pinterest. You MIGHT just find some incredible nursery inspiration there as well! 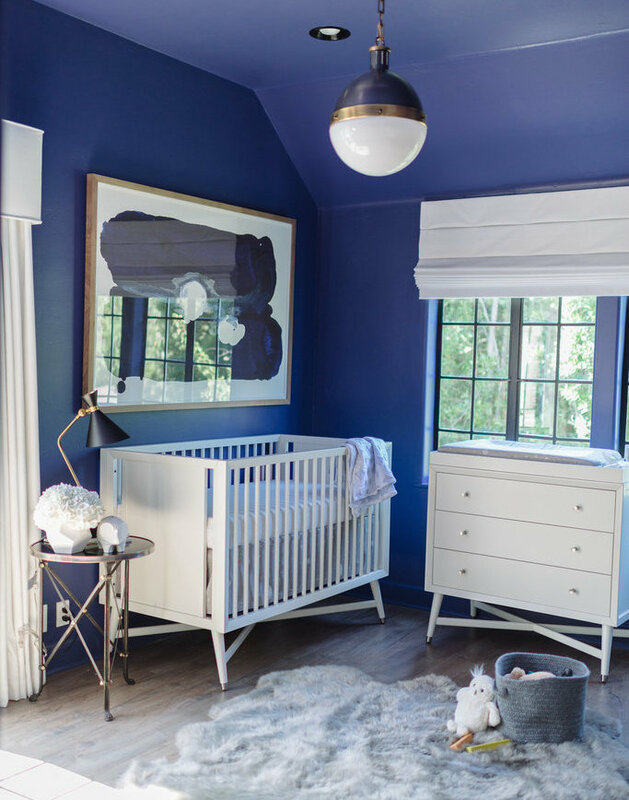 Being Star Wars fans ensures that I love them forever, but with the help of DwellStudio founder Christiane Lemieux, Tiffani Theissen and her husband Brady Smith have the most luxe Star Wars nursery in history. Yes, the Star Wars references are minimal, but that’s part of the beauty of it. I’m not going to repost all the photos as you can just check them out on MyDomaine or Pop Sugar, but we are going to break this space down for you. For our latest nursery board with Lullaby Paints, I selected French Blue. It’s a beautiful, versatile blue that can be used with many decor styles. French Blue is bright enough to make an impact but not so bold that it’s dark or overwhelming. Obviously, I ignored the “French” part of the name and not surprisingly steered far away from toile patterns. Instead, I used bold, bright, modern colors and shapes. 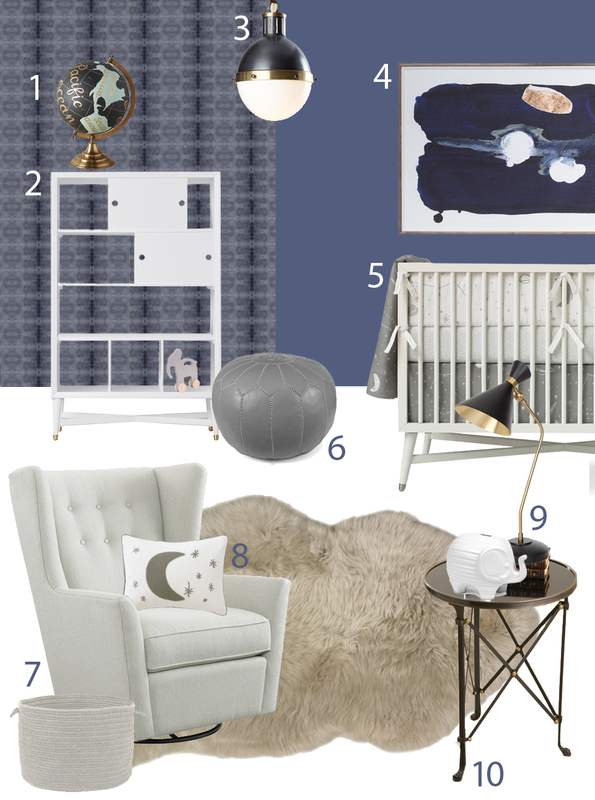 If you enjoy this scheme, please visit the French Blue Nursery Inspiration Pinterest board for more items to consider. You can complete your own space with additional options from the board. Thanks to Lullaby Paints for sponsoring our nursery board series. Safe for baby and the environment, Lullaby Paints are the perfect choice for your modern nursery. For more nursery color inspiration, follow Lullaby Paints on Pinterest. 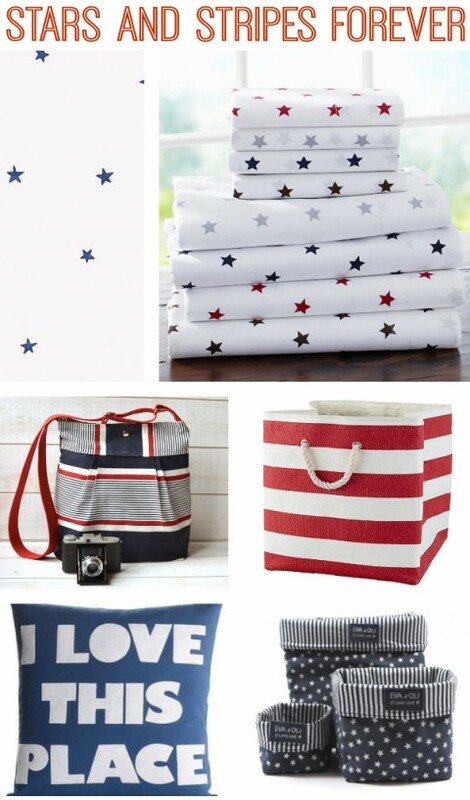 Three of my favorite colors just go together so well, especially on the 4th of July!